At Ryan Hughes Design, we deliver outdoor living that captures your personal style and the surrounding natural elements to create the ultimate in outdoor getaway and gathering places. Outdoor Living is “Redefined” as the Ryan Hughes Design team’s expert knowledge of the finest outdoor elements and years of design build experience come together to create one of a kind outdoor living spaces. A second-generation company reborn for the 21st century, Ryan Hughes Design/Build brings a fresh perspective to outdoor living with creatively infused comprehensive services. The firm’s scope encompasses everything outside the walls of the home, from the hardscape to landscape, to outdoor furniture. 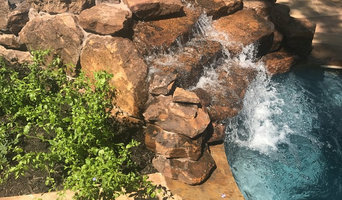 A licensed pool contractor, complemented by landscape design and architecture services, Ryan Hughes Design is revolutionizing the industry with exhaustive services that address both the science and art of outdoor design. For almost 20 years, Ryan Hughes has designed and built outdoor living without peer. Through custom designed pools, landscaping, water and fire features, his work represents more than $110 million for his clients. A recipient of multiple industry awards, his experience and innovation have been acknowledged within the industry as well as through international design books such as the “Dream Homes Series” and “Perspectives on Design.” He is also a regular contributor to Aqua Magazine, Casual Living Magazine, Landscape Architecture Magazine, Outdoor Living Magazine and several other leading industry publications. Ryan holds a Certified Pool Contractors License. 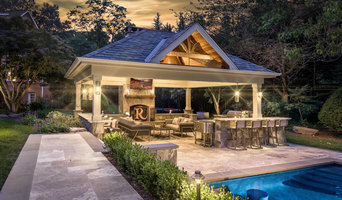 His desire to create the finest outdoor living spaces runs in the family as his father, George Hughes, an industry pioneer and leader, created a platform upon which Ryan has built his own reputation of excellence. With vast experience in Pool Engineering, Pool Construction and Landscape Design, Ryan’s technical knowledge is second only to his design vision and sought after creativity. Jeff Zock, Senior Designer, is a registered Landscape Architect with the state of Florida. He has a Bachelor of Science degree in Landscape Architecture. He’s had the privilege to travel the world designing elaborate and unique projects for over 20 years. His work includes the design of a multi-million dollar resort in Egypt; high end residences in Dubai, and Canada, $2.5 billion master planned resort community in the Bahamas and numerous award-winning outdoor living spaces throughout Florida and the US. Big Rock Landscaping is a premier contractor offering design, installation, and maintenance services in residential and commercial settings along the Wasatch Front. Since our beginnings in 1990, we have grown into a team that collaborates with designers, architects, and property owners in providing versatile outdoor living spaces. With one of the company’s principals serving as the chief supervisor on all assignments, every job, large or small, receives the attention it needs to move quickly and efficiently from start to finish. With a versatile and qualified team of experts, we have the experience and technical expertise to tackle even the most complex projects. Combining an artistic vision with expertise and knowledge of the climate and challenges of our region, we design and install some of the most notable landscapes in Utah and the Intermountain West. We are fully committed to providing an unparalleled level of service and professionalism as we craft beautiful, livable solutions in a natural outdoor environment. What exactly do pool builders do? If you are planning for a new pool, a swimming pool builder will analyze your outdoor space and your aesthetic wishes to determine an appropriate design for your yard, installing it once the plan is developed and approved. Once installed, some pool companies can handle the necessary cleanings, water testing, renovations and equipment replacement or repairs for your pool or spa. If not, many can also suggest swimming pool contractors or maintenance services to help with upkeep or repairs down the road. Here are some related professionals and vendors to complement the work of swimming pool builders: Garden & Landscape Supplies, Landscape Architects & Landscape Designers, General Contractors, Landscape Contractors, Solar Energy Contractors. Before hiring a swimming pool construction company to create your new pool, determine how you'll be using it. Will it be for fun or for lap exercise? Will the primary users be children, adults or a mix of the two? Knowing the use can help you find pool builders who shares your aesthetic. Once you find swimming pool builders who share your style, research is critical. Review customer references and comments, collect at least three to four estimates to compare, meet with potential pool designers and builders in person and ensure that they are certified service professionals and licensed with the registrar of contractors before making any final decisions. In addition, get a sense whether they plan to complete the pool installation and be done with it, or whether they seem interested in building a long-term relationship with you. Be wary of the former: it's likely a reflection on the level of quality of the pool construction they do. 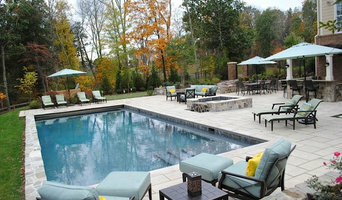 Find a pool contractor or designer on Houzz. Narrow your search in the Professionals section of the website to pool builders. You can also look through photos by style to find a pool or spa you like, then contact the local pool company who designed it.